To the people who are familiar with Darjeeling, Das Studio is a well known landmark. This large store which has grown much beyond just a photo studio is a family run business. It was established in the year 1927 by Thakur Das Pradhan who was a great photographer other than being a businessman. The studio was in Mount Pleasant Road. In 1950, the studio was relocated to it's present location on Nehru Road after Pradhan acquired this large new property. Das Studio is housed in a prominent building right after the Glenary's bakery & restaurant. 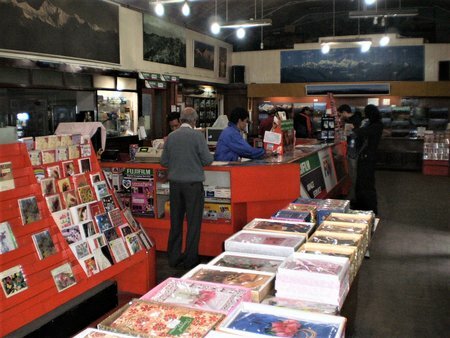 Over the years, the store has become a meeting point for visitors many of who treat this as a major landmark on Nehru Road that leads to the Chowrasta Mall. As you walk into the large room, at the right end is what Das Studio was originally known for - beautiful pictures and large framed posters of Darjeeling's scenes and landscapes. There are personal collections of Pradhan family members over generation some of which date back to the 1800s. 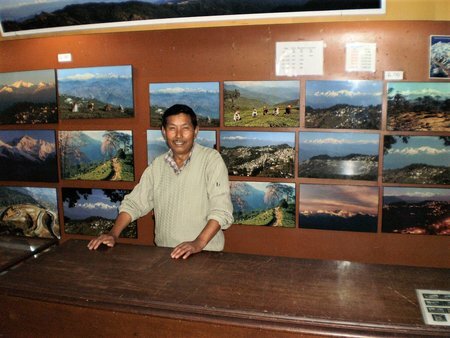 There are pictures of tea gardens, Batasia Loop, Kanchenjunga, Eastern Himalayan range and lot more. The collections also include many from the surrounding areas like Sikkim and Kalimpong as well. One of my personal favorites here is a laminated wonderful picture of the Mall Road where two men on a misty morning are taking a stroll with umbrellas. 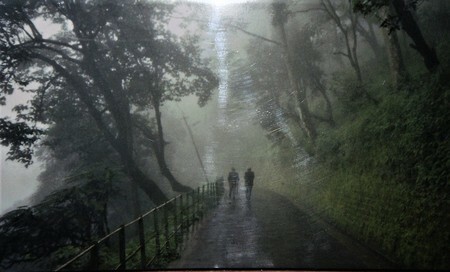 The picture with the men appearing like shadows and the shaded mystical Mall road just looks magical. I bought this piece long back from here. It continues to adorn my bedroom and often takes me back to the memories of Darjeeling. I was pleasantly surprised to see B K Thapa again, the man who looks after this section and packed the piece for me many years back. He rolls the picture and pushes it into a hard and hollow cylindrical case so that it remains intact. Most of the collections here including the one I just described are reprints of the photographs originally taken by Das Studio family members. Some are rare collections that are available only at this store. At the center of store is the colorful cash counter. So you can actually walk all around the counter to reach out to the various sections of the store. This layout hasn't changed since the time I'm visiting Darjeeling. On the left side of the room there is now a small new section where there are a few internet terminals. So you can surf the net or send emails from here. Among many other things that the shop sells, some of the long standing offerings are cameras and camera bags, films, camera stands, backpacks etc. Then there are pens, picture post cards and many other small items. When the Old Cemetery was under the jurisdiction of St. Andrew's Church, Das Studio was once appointed by the church to take photographs of all the grave inscriptions in the cemetery so that a record could be created on all who were buried there. 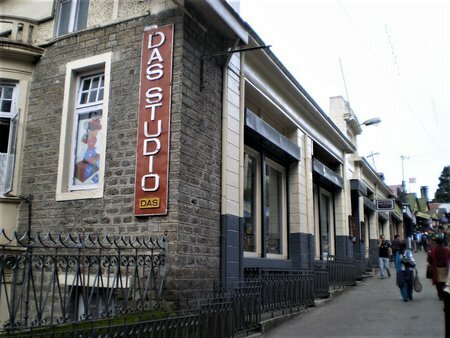 Das Studio had created that record and handed over the pictures to the church. But strangely, the entire record is now missing. My father was born in Darjeeling in 1900. Four years ago I visited Darjeeling with my son and we found where my father lived as small boy, where he went to church and school. One of the highlights of our stay was to visit the Das Studio and meet the two Mr Das's. Amongst other things I purchased two wonderful photographs of Darjeeling and the mountains. These are now framed and adorn our walls in our home.